This look of classic stone stacked on stone is given a defining touch, thanks to the terracotta-hued roof and the greenery surrounding it. 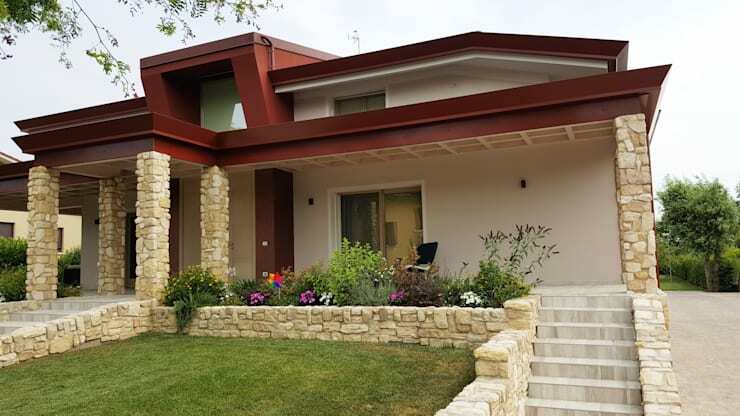 The walls within the porch have been left white for a balancing act, while the asymmetrical structure of the home’s facade creates an interesting look. The living room is a cosy and eclectic space where the concrete and brick wall cannot fail to draw your attention. The other side has a slate texture, which holds the entertainment centre and television with a fittingly modern look. 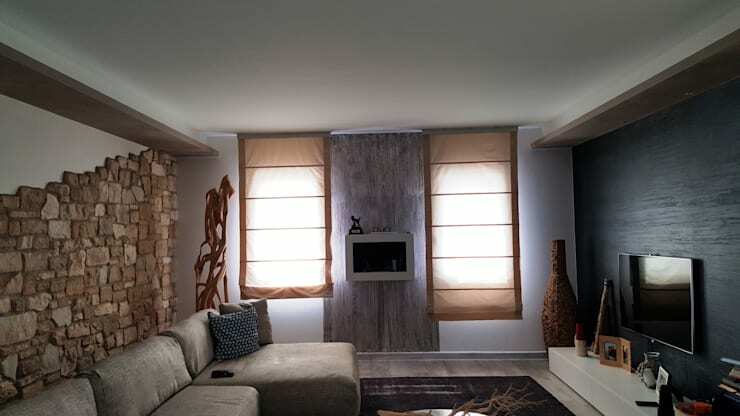 Simple and low-seating furniture and blinds complete the casual vibe of the space. 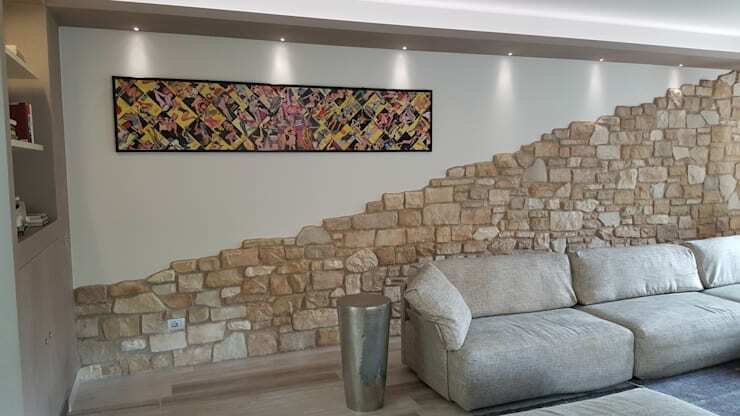 The living room wall with the flowing brick design and white hues has an interesting artwork aligned on one side. This gives the neutral-coloured room a vibrant touch, while a row of lights highlight the piece. The arch-shaped island instantly interests the visitor, while the chimney dangling above the futuristic stove makes for a sleek look. 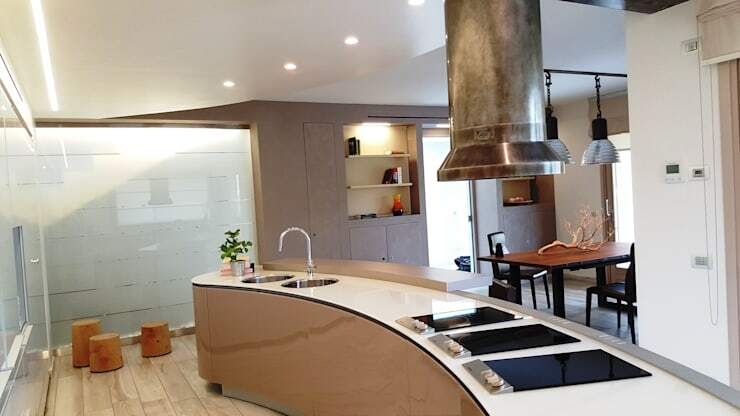 This kitchen has a low ceiling and plenty of jazzy lighting for a contemporary ambience. The dining room and a glass wall are also visible from the kitchen. The bedroom has a quaint and pretty look, with the green headboard, white furniture and classic wooden mannequin in the corner. 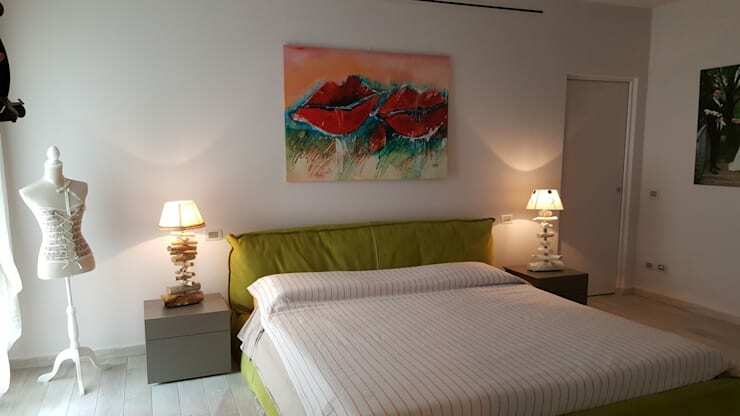 The lips on the artwork above the bed make for a vibrant and distinct touch. The mattress and white bedding create a luxurious look with understated comforts. The exterior of the home does not disappoint, either! 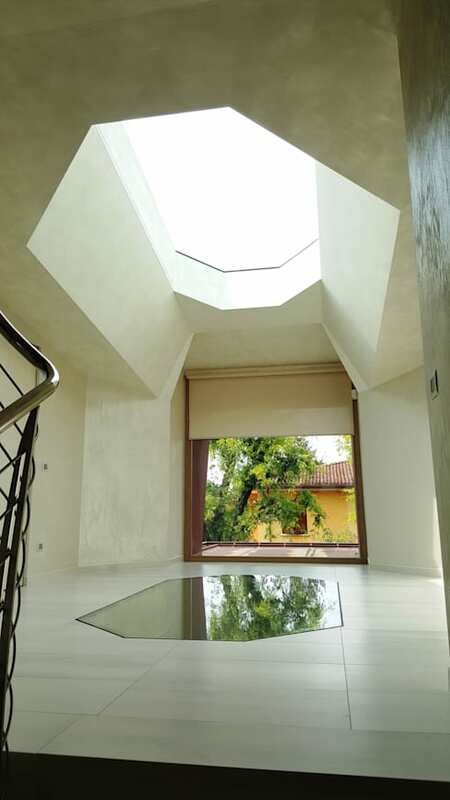 This courtyard, located on the landing as one ascends the stairs, is soaked in natural light thanks to the angular finish of the open dome above. Below lies a glass panel, reflecting the angles above, which gives the space an interesting look as light and greenery from the garden are reflected. The rest of this semi-outdoor space has been done up with wide cream-hued ceramic tiles, complete with a matte finish to balance the glossy good looks of the glass. The expansive back yard of the home is covered in green, with neatly tended beds lining the house. 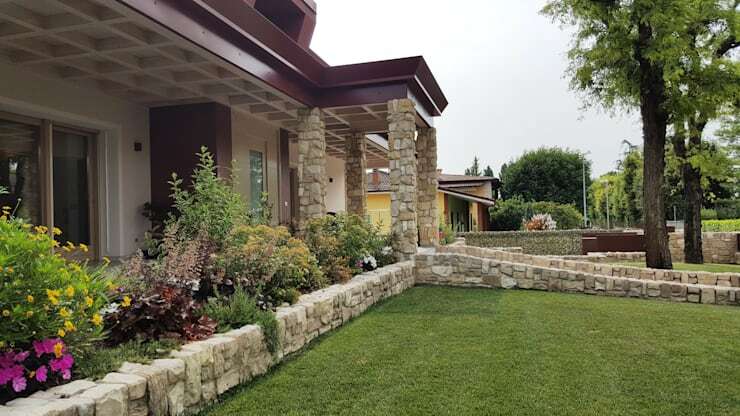 The contemporary cuts in the home’s structure, as well as the classic stone features, shine from this angle as well. In the mood for another gorgeous home tour? Check out A modern prefab house… to move into today! Are you a fan of modern stone houses?